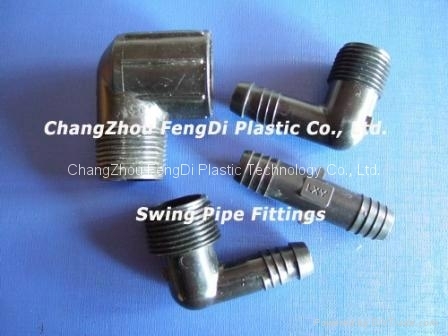 Sprial barb fittings are used to connect poly swing riser pipe/ Poly pipe between a sprinkler lateral and the outlet device. 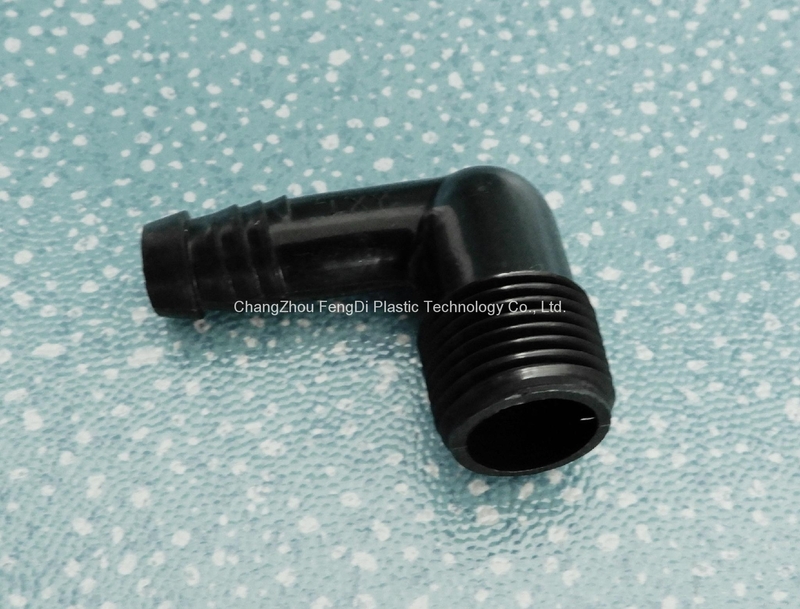 Sprial barb fittings are available in two complete product offerings for use with Poly Swing Riser Pipe and Poly Pipe installations. The high impact resistant Delrin offers the assurance of a heavy duty long lasting product with the highest tensile strength and elongation qualities in the market. 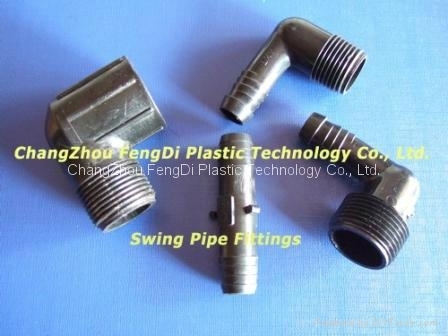 Both style fittings are available in 1/2" and 3/4" MIPT x .490 Sprial barb 90° elbow or male adapter. 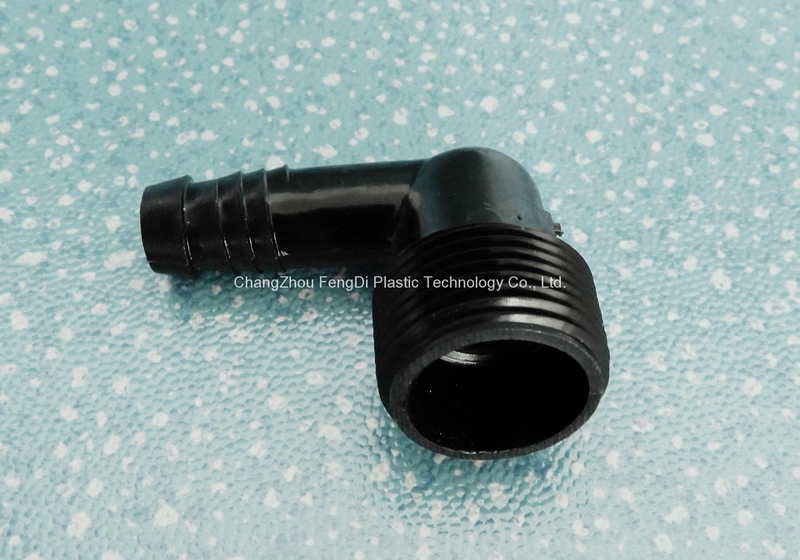 FengDi fittings under strict quality assurance to provide the highest quality products for use in the irrigation industry.